RETIRED | STEVEN A. CLARK, a partner in Clark Lau, LLC in Kendall Square, Cambridge practices immigration law with a focus on representing scholars, managerial personnel, high-tech professionals and their employers. He is the Past President of the American Immigration Lawyer's Association (AILA), the specialty bar association of 11,000 immigration lawyers throughout the United States. He has served as editor of the chapter on labor certifications in the treatise Immigration Law and Practice (Yale-Loeher, ed.) (Lexis/Nexis) and is the author of the chapter on Employer Sanctions in Immigration Law and Defense (Westlaw/Thomson Reuters) and Editor-In-Chief of AILA's monograph, Representing Professionals Before the Department of Labor: Labor Certification and Labor Condition Application Procedures. 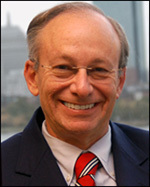 He has served as Chair of the Massachusetts Bar Association's Immigration committee and as AILA's New England Chapter Chair, INS Headquarters and Department of Labor National Office Liaison Chairs, and Senior Editor of its Annual Conference Handbook, a 1300 page collection of articles by leading immigration lawyers. His "Labor Advisory" column on employment related immigration issues including labor certifications, H-1B and L-1 visas appeared in the AILA Monthly Mailing since 1990. Mr. Clark is a graduate of Harvard Law School and Yale College.